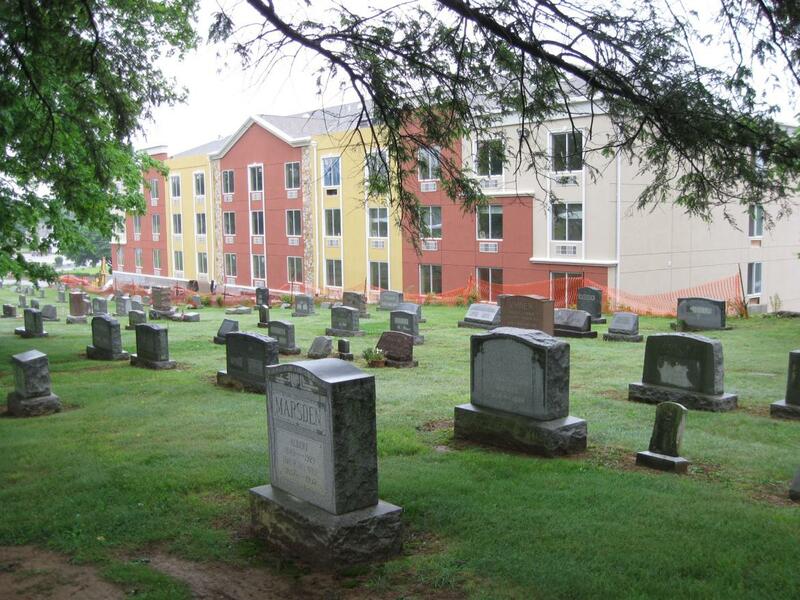 The Comfort Inn built on the boundary of Evergreen Cemetery has been sporting multi-colors the last couple of weeks. 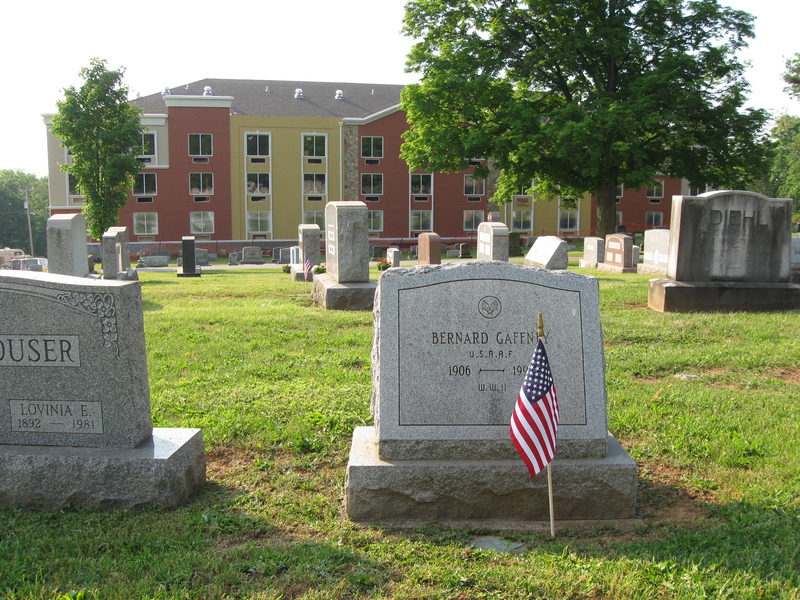 Evergreen Cemetery had flags on the graves of veterans. This view was taken facing southwest at approximately 8:00 AM on Saturday, May 23, 2009. 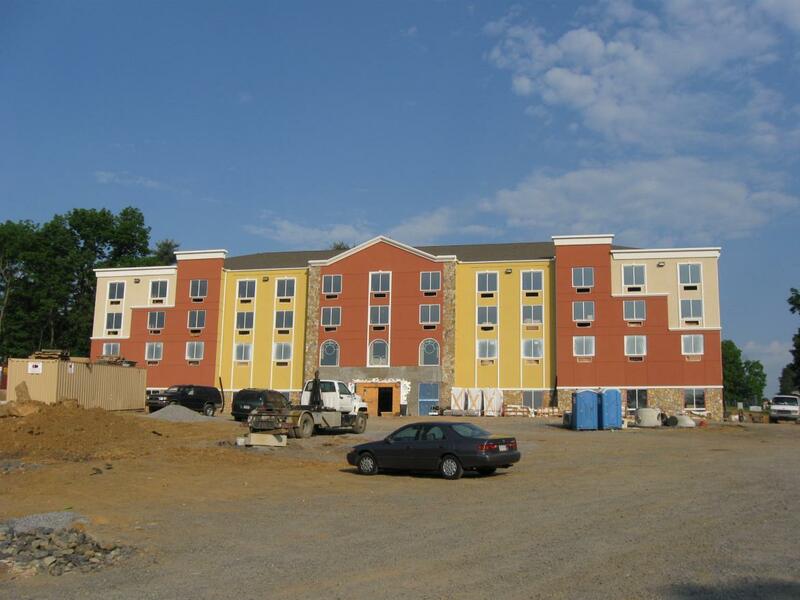 The Comfort Inn on the Baltimore Pike has been multi-colored for the last couple of weeks. We have been waiting to see what color they actually decided to paint it, before we gave you an update. Well either they can’t decide, or this is it. Either way we decided it was finally time to show you its current status. So what color is it going to be? This view was taken facing northeast at approximately 8:00 AM on Saturday, May 23, 2009. 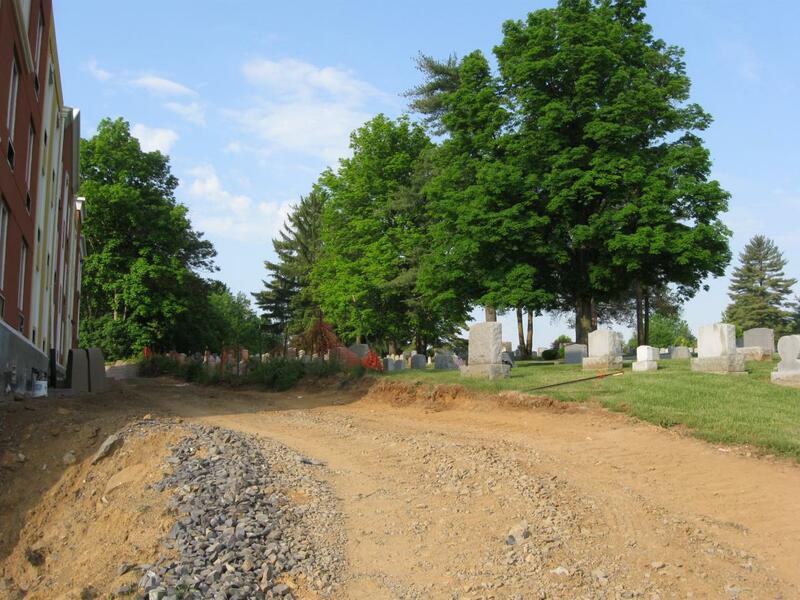 There still hasn’t been any visible stabilization in the area between the structure and the cemetery. This view was taken facing northwest at approximately 8:00 AM on Saturday, May 23, 2009. 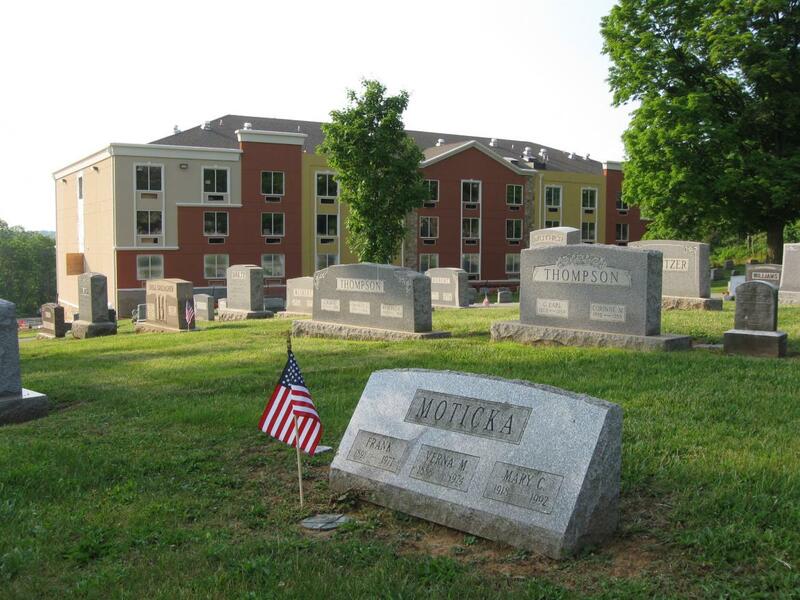 A view from another veteran’s grave. This view was taken facing southeast at approximately 4:20 PM on Tuesday, May 26, 2009. Opening day is only a month away. This view was taken facing southeast at approximately 4:20 PM on Tuesday, May 26, 2009. 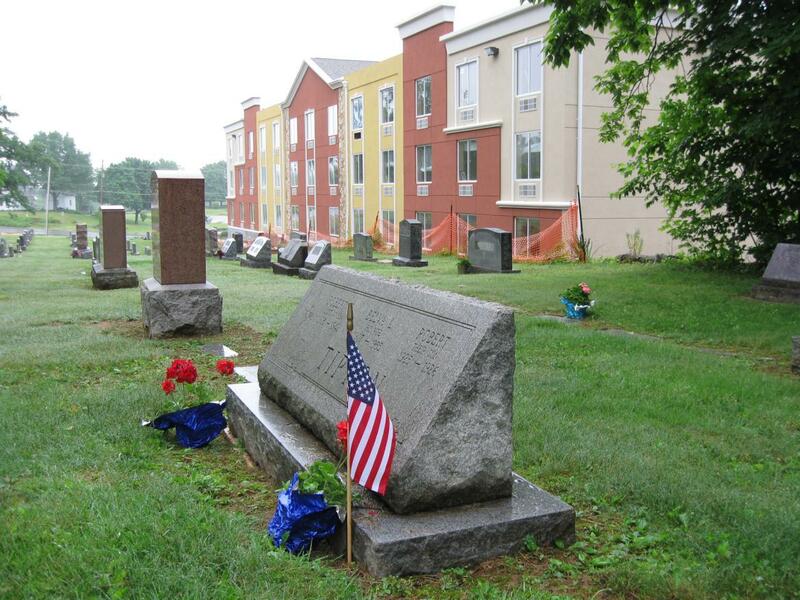 One of the first primers of paint was gray in color, and we thought that would somewhat blend in with the headstones. This view was taken facing southwest at approximately 8:00 AM on Monday, April 13, 2009. 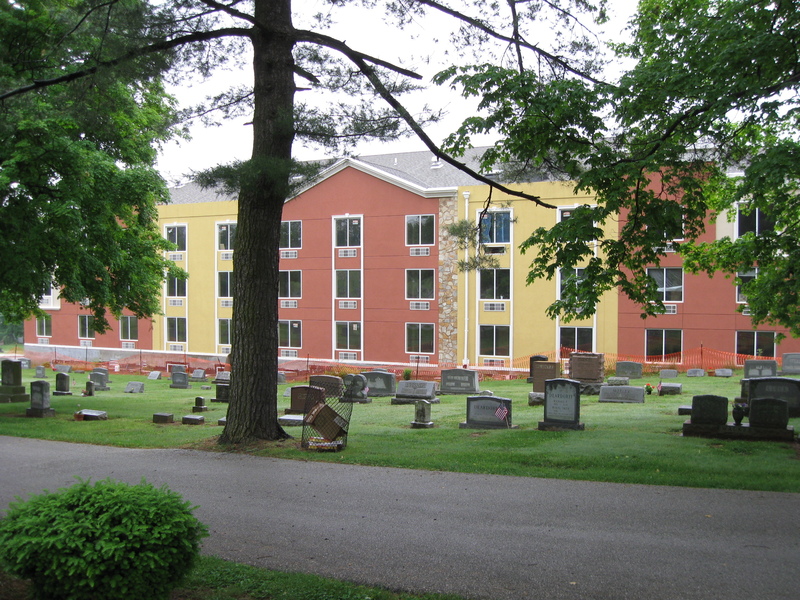 If it would happen to stay multi-colored, is there a more inappropriate place for this color scheme than next to a historic cemetery? This view was taken facing southwest at approximately 8:00 AM on Monday, April 13, 2009. So what color do you think this structure should be? This view was taken facing northwest at approximately 8:00 AM on Monday, April 13, 2009. If this is it, could they have chosen worse colors to blend in with the local scenery and “residents?” This view was taken facing south at approximately 4:20 PM on Tuesday, May 26, 2009. 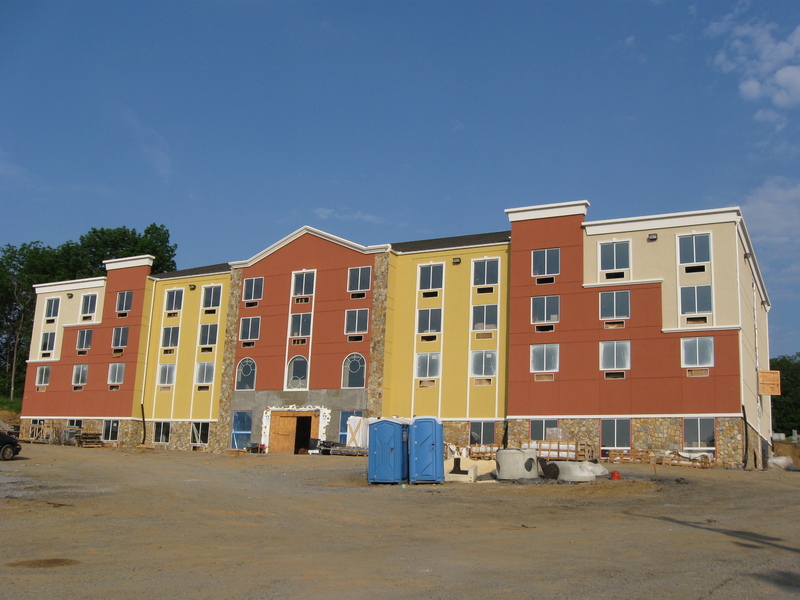 Comfort Inn True Color Still Very Visible on April 14, 2009. 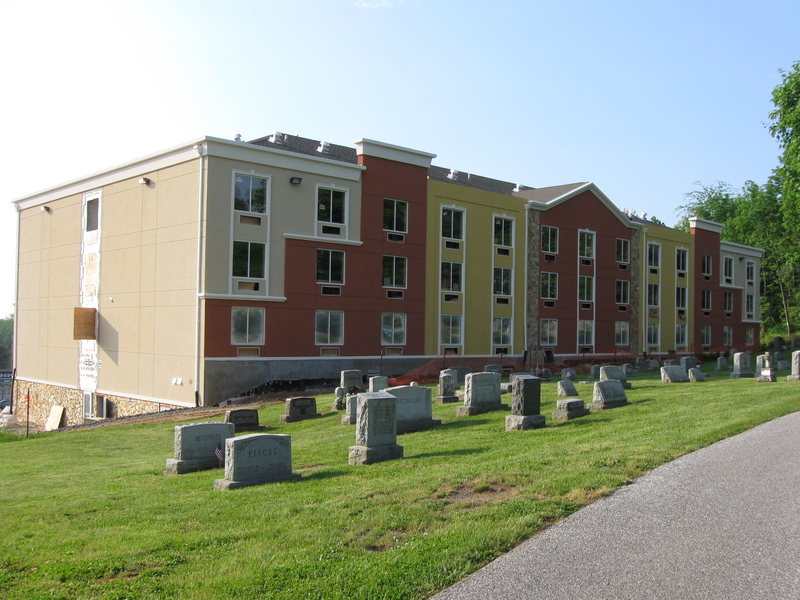 Comfort Inn Shows Its True Color? on March 23, 2009. Culp’s Hill and Stevens’ Knoll Views of South Cemetery Hill on March 4, 2009.